You are amazing! Last week, we shared an urgent need with you: Despite the fact that Congress had largely rejected the Administration’s proposed cuts to foreign assistance funding back in March, the Executive Branch was considering a new tactic to specifically target the life-saving work being done by the State Department and USAID around the world. This tactic, called a rescissions package, would have canceled the budget authority of Congress and frozen money that was planned to be provided to life-saving programs. If the funds had been frozen now, those programs wouldn’t be able to begin. Knowing that you also believe that children in extreme poverty shouldn’t suffer because of political plays, we asked you to take action. If enough of us asked Congress to put pressure on the Administration, maybe we could stop these cuts before they started. Well, it worked! Together, World Vision advocates contacted 92 of the 100 Senate offices and 263 offices at the House of Representatives with phone calls or emails asking Congress to speak out against the rescissions package. In total, more than 1,440 emails were sent and more than 125 calls were made. Your voices, united in seeking God’s justice for children around the world, were heard in our nation’s capital this week. And it made a difference. Today, the Administration withdrew the rescissions package and will not be sending it to Congress. That means that organizations — like World Vision — who applied for the funds, planned new programs, and talked to local community leaders won’t have done all of that work in vain. When lives are on the line, every day counts — and now, life-saving programs can start or continue without interruption. THANK YOU for using your voice to make sure that Congress knew this was important to you. If you have a minute, please use the form below to thank your member of Congress for prioritizing children and families in extreme poverty around the world. 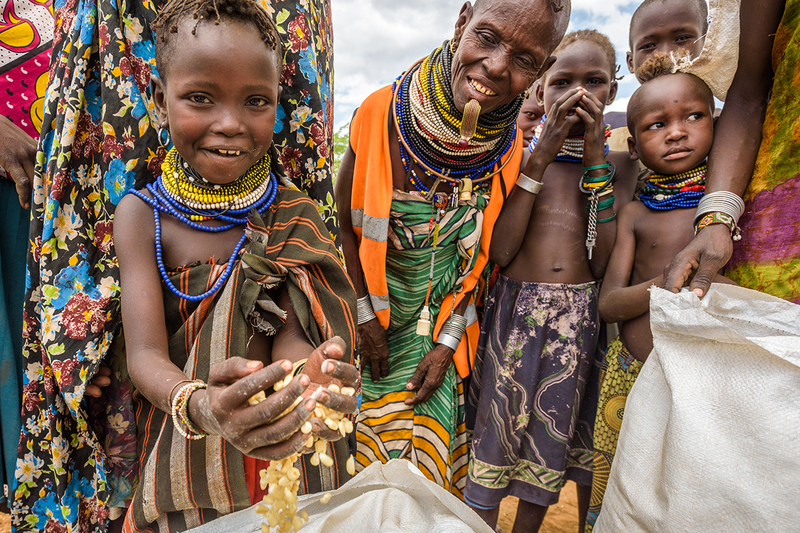 Photo: Maize and USAID-provided vegetable oil are distributed in Turkana, Kenya. ©2017 World Vision, Jon Warren. Yay! Great victory for children and families all over the world! America was founded as a Christian/Judo Nation……….we need to get back to it….GOD BLESS YOU. Gerald. Thank you for your heart in this matter! Thank you for caring about children and families living in extreme poverty. It is the greatest single act you can do in life, I believe. Thank you so much for caring. Let America ALWAYS stand for what is right! Thank you for your help,with the rescission s package. May God bless you all.. I praise Jesus for this! Thank you for making me aware of the issue so I could participate in contacting our leaders; may Thanksgiving abound to God for the process and result! The Bible says for what you do for the least of mine, you do for me. We are the greatest nation for a reason… we don’t want to waste our opportunities to make godly decisions and to demonstrate the love of God. Hallelujah! This is great news. God forbid that the United States should turn its back on the poor and needy. I shudder to think what would become of us if we did. Thank you for your continued efforts. May the Lord continue to use you in His service.